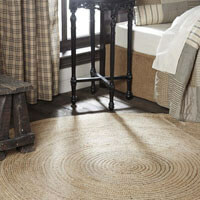 Undyed natural jute is woven into large circles in our Harlow collection by VHC Brands, each fiber a subtly unique variation in tone. Pair Harlow with country and farmhouse looks, or make it equally at home with modern and transitional decor. 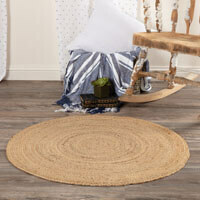 Rugs are available in 3 round circle rug designs in 3, 6, and 9 foot round.